Notes: This film was based on the hilarious Telugu novel 'Barrister Parvateesam' (1924) by Mokkapati Narasimha Sastry. The title role of Parvateesam is played by Lanka Satyam. This was second film to him. His first movie was 'Amma', directed by Niranjan Pal. He worked as assistant to Director R. Prakash. Varalakshmi got the female lead role unexpectedly. Director Prakash saw her, when she was acting in the stage play 'Sakkubai' in Rajahmundry, and called her for make-up test and given her the role of wife of Parvateesam. Then she was just 12 years old girl. 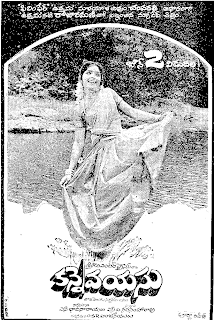 She sung two songs in the film also. Kasturi Sivarao did two roles as a dentist and a rikshaw puller. 1940 was a bad year for the Telugu film industry. Many films flopped. Of the seventeen films released this year, only pure comedies like 'Barrister Parvateesam', 'Chaduvukunna Bharya' and 'Bondam Pelli' found success. 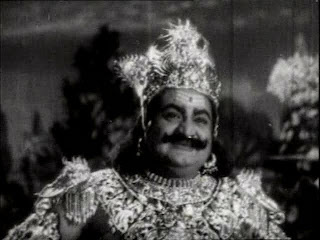 'Illalu' was another film with Kanchanamala and Umamaheswara Rao in the lead. sir,plz give me information about how i can download this classic. where can i watch this movie or purchase this movie?